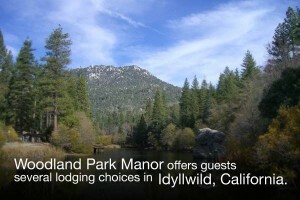 Woodland Park Manor has been providing Idyllwild, California mountain getaways since 1954. 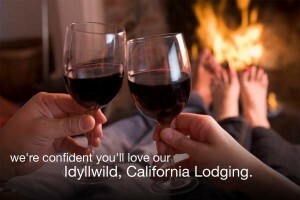 Colin & Denise Day have proudly owned and operated Woodland Park’s Idyllwild Cottages since 1979 and expanded their lodging options to include Idyllwild Vacation Rentals over 25 years ago. 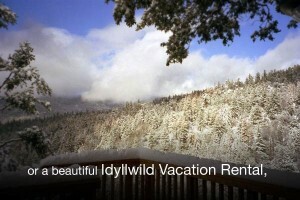 They look forward to finding you the perfect Cottage or Vacation Rental for your mountain getaway in Idyllwild, California! 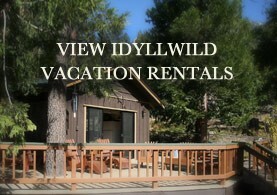 These Idyllwild Cottages are nestled on five acres in beautiful Fern Valley, just above the village. Located on our natural, forested grounds, the Cottages look into a pretty, wooded park area. In the park, you will find gardens, a gazebo, bird feeders, ping pong and beautiful, quiet spots to sit and enjoy the forest. 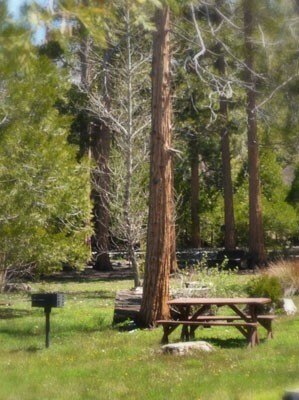 During the summer months, our guests of our Idyllwild Cottages at Woodland Park enjoy our Pool in the Pines as well! 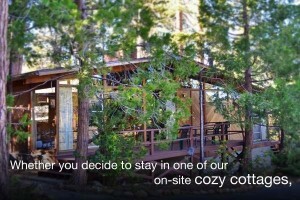 The Cottages at Woodland Park Manor are pet friendly and family friendly accommodations. "It is always a good experience when your expectations are exceeded. 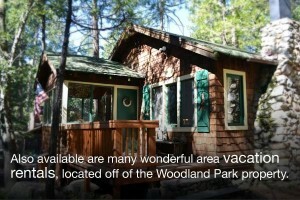 Woodland Park does just that, the accommodations are clean, comfortable, and the owners Denise and Colin are wonderfully helpful!"